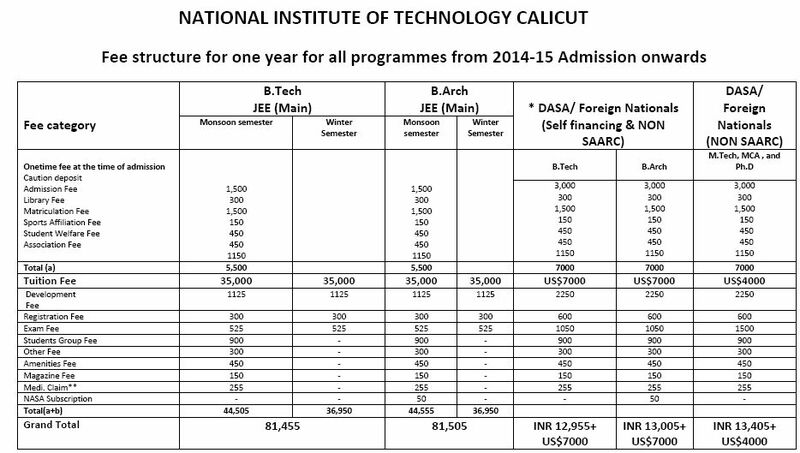 can any one help me that from where I can download the fee structure of the B.Tech course at NIT Calicut as I want to take admission there? The National Institute of Technology Calicut (NITC) is also known as Calicut Regional Engineering College (CREC). It is a federally funded technical university and an institute of national importance which is governed by an act passed by the Parliament of India. It was founded in 1961 and was known as Calicut Regional Engineering College (CREC) until 2002. It is one of the National Institutes of Technology which was founded by the Government of India.